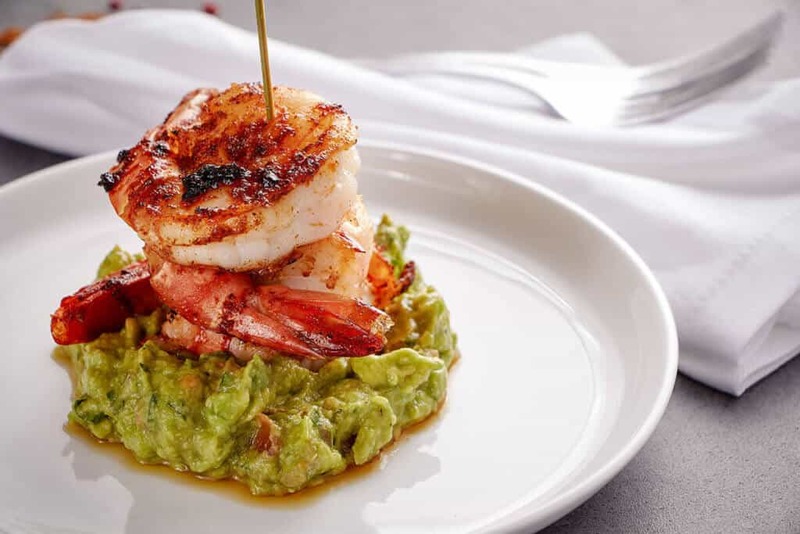 In saucy, sassy and totally original interpretations, shrimp rides the wave of ever-bolder interpretations and makes a giant impact on the menu. This next-level shrimp on the barbie is found at Cupitol, an all-day lounge with elements of a grab-and-go café, bakery, restaurant and bar, with locations in Chicago. Hefty prawns are rubbed with paprika, lemon, brown sugar, garlic, chili pepper and olive oil for a smoky flavor profile. Then, they’re thrown onto a hot flattop and served on a cool bed of made-to-order guacamole. BBQ Prawn has been a dinner menu star since Cupitol opened last summer. That corporate coffee chain (you know the one) may have a national foothold, but this all-day-dining café is a sign that locals are supporting their neighborhood. One might forget that people actually live in Streeterville, a district of mostly hotels and the ultimate tourist destination, Navy Pier. 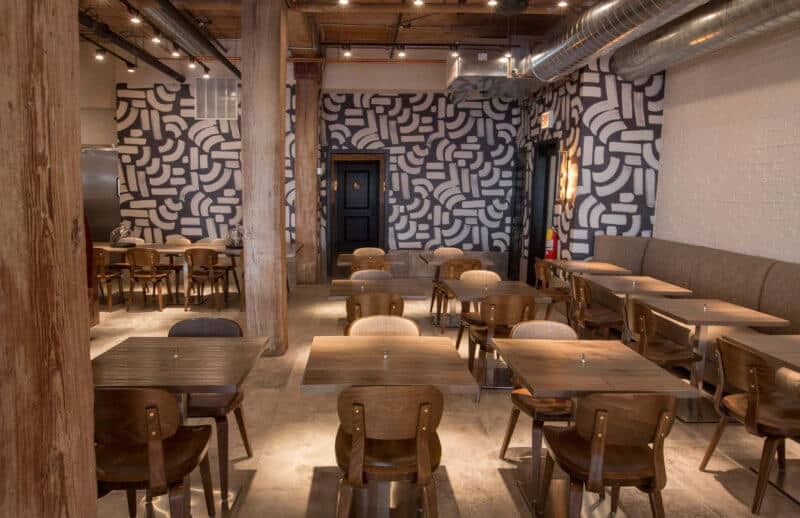 In this spot, stumble upon the active wear and roving worker sets, armed with their Fitbits and laptops and ready to pull up an armchair or claim one of the many communal or two-top tables in this open brick-walled dining room. Breakfast goes savory and sweet, from a flaky chocolate croissant to a sticky bun french toast with salted caramel and pecans. For lunch, a hunky, salty falafel burger is a welcome twist on tradition, while a gravlax baguette comes sandwich style with herbed cream cheese and cucumbers. The late crowd (meaning after 5 p.m.) can grab dinner. Favorites are the skirt steak with asparagus, romaine, coconut curry and roasted baby potatoes and a hormone-free chicken Alfredo. Coffee drinks are steaming hot and plentiful. 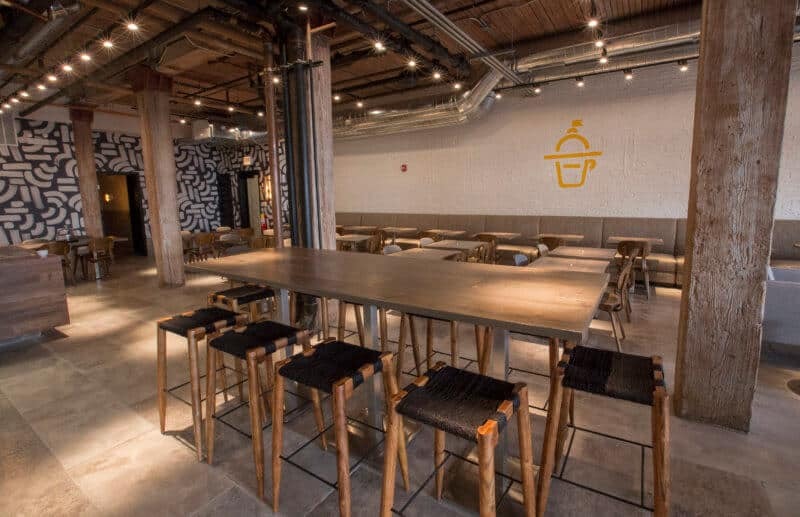 The welcome mat is always out and the house made croissants are always fresh and flaky at Cupitol in downtown Evanston and Cupitol in Streeterville. Both neighborhoods are in growth mode, with residential housing options multiplying rapidly. And while neither area is suffering from a restaurant drought, owner Sellia Georges says Cupitol occupies a niche where there’s always room for one more. Cupitol partners a quick- serve format with separate menus for breakfast, lunch and dinner. All three offer a mix of grab- and- go and cooked- to- order options, and as a result, the restaurants can easily accommodate their guests, whatever their schedules. That’s especially important in our hurry-up world, where schedules and dining patterns are continually changing. Check out the scene on a weekday, and it’s obvious that more people are eating in restaurants on an everyday basis than ever before. The shift is especially apparent in the morning. Pre- Starbucks and the advent of the portable office, people typically ate breakfast at home, at least on weekdays. Juice, cereal, toast and coffee, the line-up was short, simple and boring. That’s changed, not for everyone, but for enough people to create a sizeable market. At Cupitol, where the eggs are cooked to order, the ham is cut off the bone and the pastries are made at Sellia’s family’s bakery, the menu is as customer friendly on Monday as it is on Sunday. So is the 7am starting time. The diversity continues as the day progresses. Hot and cold sandwiches, soups and entrée salads are available all day. And at 4 pm, when the dinner menu kicks in, the mix includes everything from skirt steak and pasta to fish dishes made with sustainably caught fish. It’s an “everybody” kind of menu in a “somebody” kind of place.